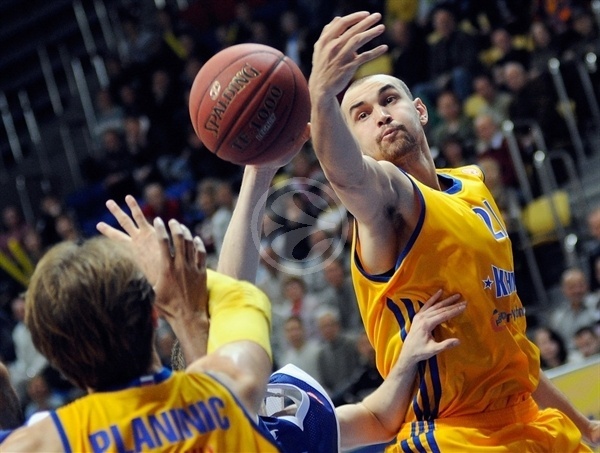 BC Khimki Moscow Region is on the verge of qualifying to the Top 16 after a comfortable 77-53 win over Mapooro Cantu. With this victory, Khimki moved into second place in Group A with a 5-3 record and needs one win or a Union Olimpija loss to secure a place in the next round. Cantu dropped to 2-6 with two games left to play. A great defensive effort helped Khimki to a big second quarter run and a commanding double-digit advantage before triples from Sergey Monya and Vitaly Fridzon extended the lead to 20 points after halftime. 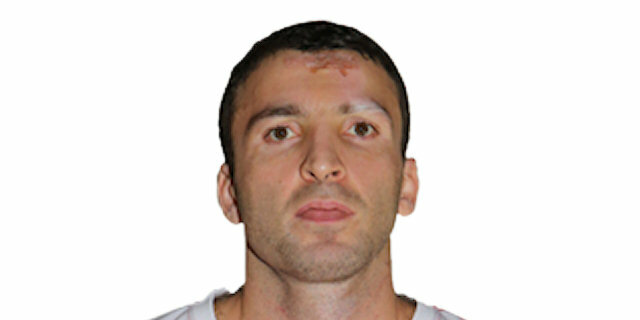 Zoran Planinic led the victors with 14 points plus 6 assists, while Paul Davis also scored 14. Fridzon and Monya each finished with 11 points; Fridzon also dished 7 assists. Manu Markoishvili scored game-high 16 points for Cantu, Maarty Leunen had 11, and Jeff Brooks chipped in with 10 points in defeat. Both teams found their offensive rhythm early. 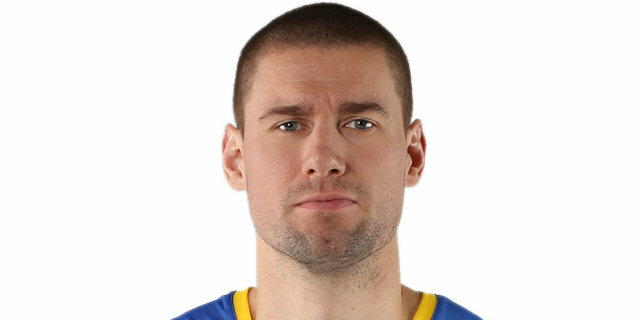 Leunen opened the game with a top of the key three-pointer, before Kresimir Loncar and Planinic scored inside for Khimki and James Augustine's put-back-plus-foul made it 7-3. Cantu responded through Markoishvili who scored a runner and connected on two triples to give Cantu an 11-13 advantage. Khimki quickly regained the lead with back-to-back triples from K.C. Rivers and Sergey Monya, making it 19-15. Davis and Fridzon kept the hosts in front from close range, but Markoishivili and Leunen hit jumpers before Alex Tyus dunked at the end of the first quarter to give Cantu a 23-24 advantage. 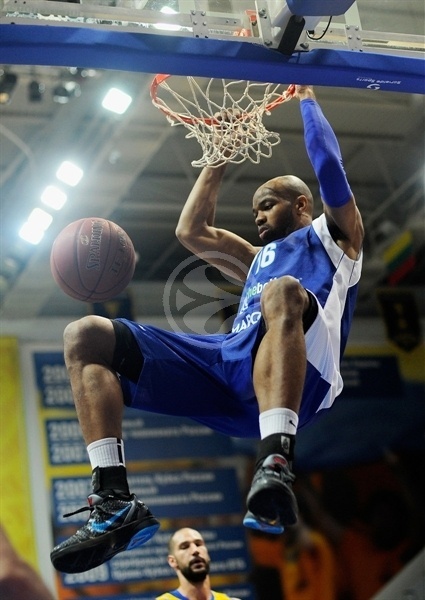 Khimki opened the second quarter with 7 unanswered points, as Davis scored twice and Monya sank a triple from the left corner. Jeff Brooks snapped the run with couple of baskets of his own, but Fridzon hit from downtown before Davis scored from close range and long range to open 39-28 advantage. Davis and Monya made the difference on the defensive end as well, denying a couple of shots as the hosts did not allow a field goal for more than four minutes. Cantu also struggled from the foul line, missing 6 of its first 8 attempts, while Egor Vyaltsev’s triple capped a 10-1 run and made it a 13-point game as Khimki held 44-31 halftime lead. Markoishvili hit a jump shot to start the third quarter, but Monya and Fridzon hit triples to extend the lead to 52-33. Despite the big lead, Khimki was not letting down on defense, while slowing down the tempo on offense. Fridzon hit another three to extend the lead to 57-37 before Tyus and Awudu Abass scored inside on back-to-back trips down the floor. However, the visitors did not manage to come closer than 17 points as Dimitriy Khvostov hit a three-pointer and Davis beat the buzzer at the end of the quarter making it 62-43. Davis extended the margin to 21 points with a pair of free throws at the start of fourth quarter before Brooks and Planinic traded baskets. Cantu’s attempt to cut into the lead with baskets from Brooks and Jonathan Tabu was denied by layups from Matt Nielsen. Vyaltsev sank a jumper and Monya made a dunk to make it 74-49. Vyaltsev added another triple to his tally extending the margin to 26 points before Leunen rounded out the scoring with the dunk to end the game. "I would like to thank my players for this game. Today we used a great rotation and all the guys performed well. Of course, everybody made some small mistakes, but in general I’m happy with the way we played. We won a very important game and increased our three-point shooting, but for sure could play better in the paint. 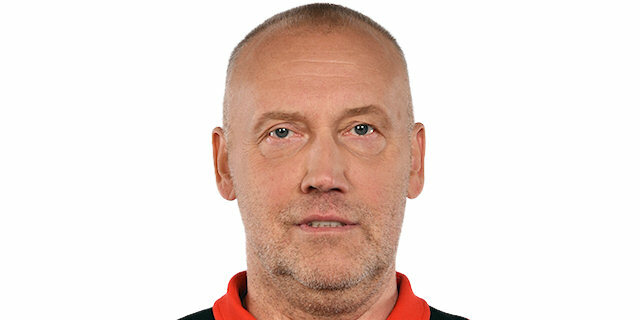 Today Vyaltsev was really good and I’m happy with his progress." "My comment is simple. 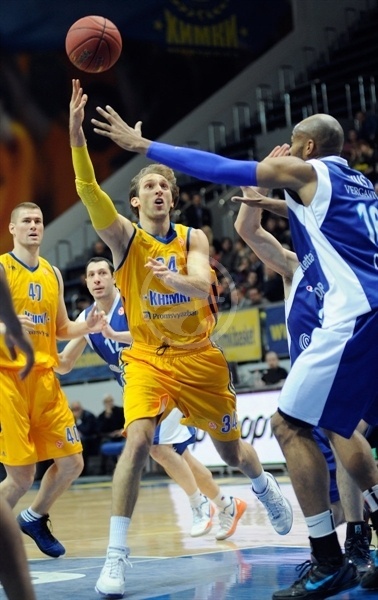 I congratulate BC Khimki on this victory; they played excellent and deserved this win. Our opponent demonstrated good two- and three-point shooting percentages. We started well, but were down in the second quarter. The second quarter was the key moment in the game. We didn’t manage to respond and the difference is as you can see. 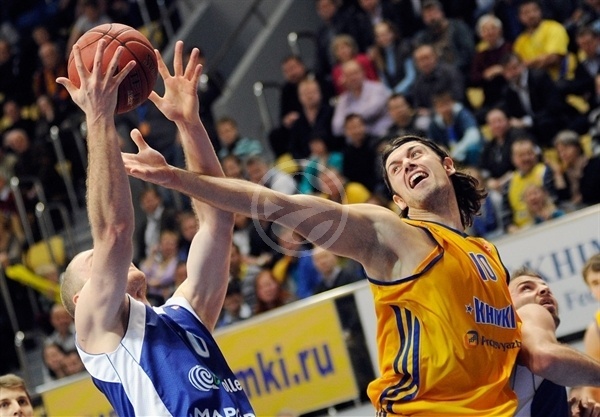 If you allow a big margin for such team as BC Khimki, it will be very tough to make a comeback. Today we missed our key players Aradori, Smith and Scekic because of injures." "It was a must win for us. Every victory makes you happy, but this one like a special one; we practically reached the Top 16 and did it on our home court. There has been a little pressure during last two weeks: we had to win, but were defeated in Madrid. We are happy with the result, everyone did their best. Mapooro Cantu is a tough team on the road, but today we played with energy, everybody did a great job. Our opponent has a couple of players hurt, but we couldn’t lose this game, it was in our mind and we are happy with the outcome. After the second quarter, we led by 13 points and it was the turning point. " "Obviously it’s a good win for us. Our goal was to reach the Top 16 and probably this does it. Now it’s about of getting better position. 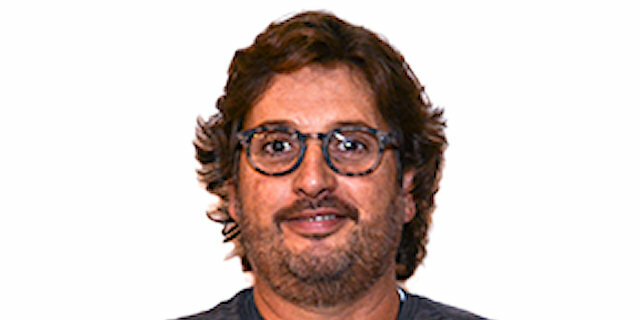 Mapooro Cantu missed couple of important players and at this level of basketball it’s difficult to compete without leaders. In Italy they had full team and played a really great game. The key for victory was our defense. In the first quarter they scored 24 points, but then relaxed. We took the lead and didn’t allow Cantu to recover." "It was a tough game for us. 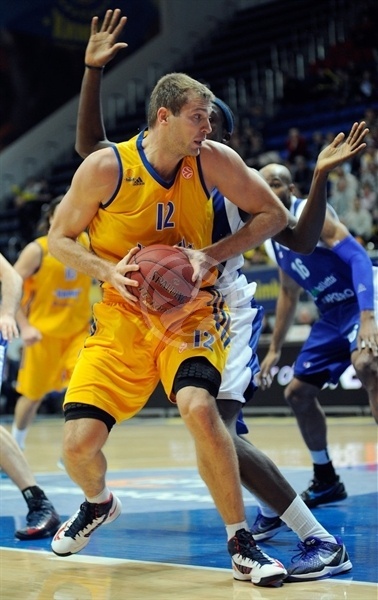 BC Khimki played a good game and was great in defense and in offense. They were just better that Mapooro Cantu. We missed three injured players and our team didn’t get the needed energy for the second and third quarters. Our opponent moved the ball very well and made shots. 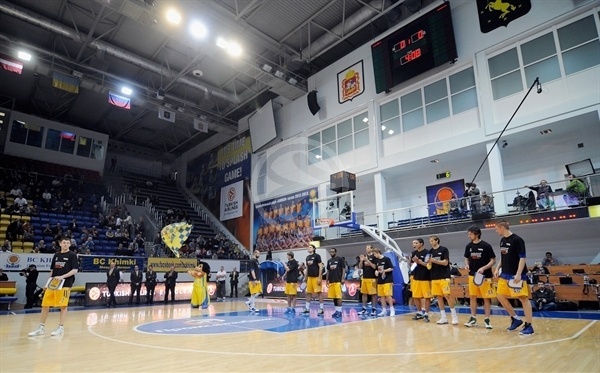 So it was a deserved win for BC Khimki. 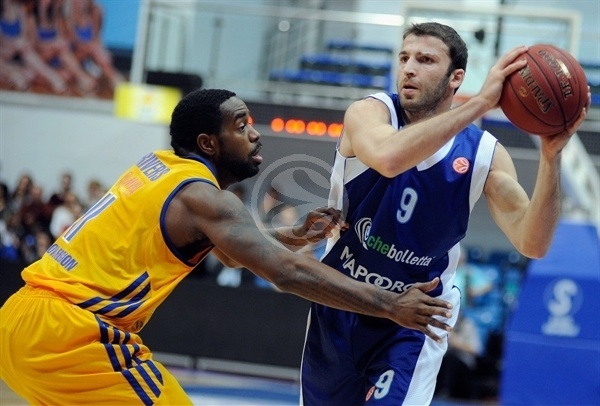 We have to play two more games in the Euroleague and will try to succeed. I was very glad to see Kresimir Loncar, we played together in Benetton Basket many years ago. I don’t like to speak about myself, I would like to make compliment for Kreso. He has taken a huge step forward and now is one of the best centers in Europe."